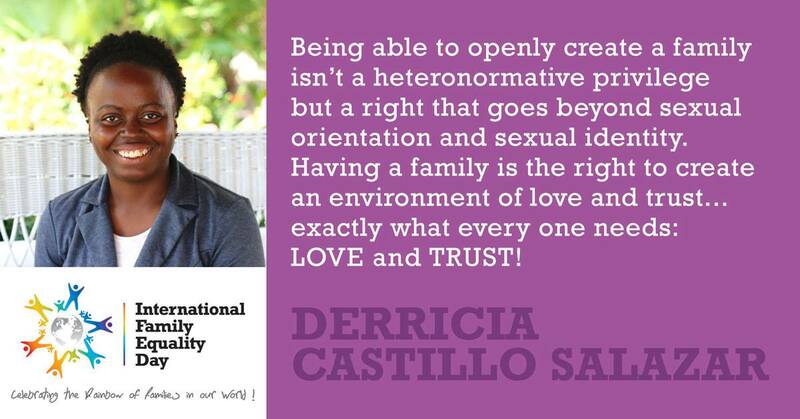 Derricia Castillo-Salazar (Jael), is a military officer, a certified Aircraft Technician, an activist and a proud lesbian mother and partner. Derricia was born to Patricia Sebastian and Derrick Castillo Sr in the beautiful town of Punta Gorda. She is the Co-Founder of Our Circle, a voluntary organization dedicated to the active inclusion of the LGBT community in Belize. This organization creates events that bring together the LGBT community in Belize, by providing safe spaces to educate, empower and build the community, collectively. In 2014 when her brainchild, Our Circle was introduced to the community, Derricia never thought that Our Circle would have created milestones as quickly as it did. Our Circle has since then engaged approximately 200 community members of the Belizean LGBT community. Derricia’s motivation to keep working for the LGBT community stems from the need to create inclusion for Rainbow Families and securing a bright future for her three year old son. As a part of the LGBT community, an active member of the Rainbow Families Community and a leader in both her career and advocacy, Derricia has been limited, socially, by her exclusion in Belizean society’s due to her sexuality. Limitations against the LGBT community is what has driven Derricia’s determination to create visibility and inclusion for the LGBT community, as she effortlessly tries to ensure safe spaces are created for LGBT members, their families and their allies.